The Adviser recently made a booking at the Barn and there was an error, on the Barn side. But the response was brilliant. Their hands went up straight away and there was a generous gesture on the next visit. The Barn, on the Mayfield-Glanmire Road, in case you didn't know, is a reliable fixture at the top end of the Cork restaurant scene. The welcome is friendly, service is good and the seating arrangements are generous in regard to space and comfort. The fixed evening menu costs €50 a head and the wine begins in the mid twenties. Had a drink at the bar before going in, made our choices from the menu and chose a tarty long tasting Pinot Grigio (which turned out to be a lovely lively wine) for the meal. Started off with a tasty duck salad, and that was followed by a top drawer bisque. Main course was red snapper with a smoked haddock spring roll, an excellent plate. Desserts comes from a three tray trolley. You are certain to find something sinful to suit you (I took the Mille Feuille) and tea or coffee is available to finish off, unless you want to go to the bar, where you can enjoy a glass of port for €6.00. The Adviser was well pleased with the evening and we promised to go again, a promise that will be kept. What a welcome we got at the comfortable Ying Palace Restaurant in Mayfield the other night and, more to the point, what a meal! And what value! We took Selection C on a huge menu. By the way, in addition to the main a la carte menu, there was an even better value introductory menu where you could get four courses for about €15.00. Our selection cost €19.00 per person. Starter was Shredded Aromatic Duck, served with a fresh green salad and a hoi-shin sauce and thin pancakes to wrap it in. It was beautiful, a very promising start to the evening. Next course was the soup; this had a most delicate taste but was so beautiful. It was a crab and sweet corn soup, a little gem. The main course was a combination of turf and surf. On one hot plate, we helped ourselves to very tender, beautifully cooked fillet beef with a black bean sauce; from the other plate, we picked our tasty king prawns, served with a Szechuan sauce. Fried rice and chips were also served. And we finished off with a cup of coffee each. Finished off? No way. Our hostess for the evening had been pleasant, talkative and attentive and as we finished our wine (a Chenin Blanc at €18.30), we were offered a little vase of Saki. So we filled our little bowls (twice) with the warmed liquid which she said was about the same strength as the wine. But she mentioned she had something stronger and soon she produced that. It was a Chinese Rice Wine. It was about four times stronger than the wine and packed quite a punch! Again, there were two little bowlfuls for each of us in the warmed container and it certainly was strong. What a finish to a delightful evening! Total cost? About €56.00, plus tip of course. An almost accidental return (my first booked restaurant, nearby, was closed unexpectedly) to Silversprings gave me the chance to try out the Watermarq restaurant again. Aside from some over-cooked vegetables, there was nothing to complain about and we paid about €93.00 for two starters, two mains, two desserts and a bottle of wine. My starter was a Tomato and Mozzarella cheese salad. Nothing spectacular but certainly up to scratch. The other choice, probably the better one, was smoked (lightly) duck breast with salad. For mains, I chose the rack of lamb. The quality was good and at €22.50 it was reasonably good value. Medallions of venison were also on the table and again it was tender and tasty. The aforementioned veg, though close to soggy, did taste surprisingly well. Still room for dessert and both choose the Passionfruit mousse. Nether was disappointed with this light tangy ending to a very decent meal indeed. By the way, the wine list includes six house wines (three white, three red), all in the low twenties. The Market Lane restaurant, on the lower end, close to Parnell Place, of Oliver Plunkett Street is a welcome addition to the scene in the city. We called in last night (Friday). The place was very busy but we were soon seated and each of us started with a bowl of delightful marinated olives. Main course was Grilled Sea Bass (bream normally) with a Mediterranean vegetables and bean cassoulet. It was a happy combination. The fish was the star of the show but the accompaniment was delightful also. This dish needed nothing else, well aside from a 50cl carafe of the house white (11.50). In this case, there was no need for chips or mash or any other bulky stuff to disguise the poverty of the main ingredient. Brilliant. And the superlatives didn't stop there. There was room for dessert and I chose the Banoffee, a real banoffee this time as the three main ingredients were all present, the banana, toffee and biscuit base all combining to make a very sinful whole. The Advisor had an equally tempting Warm Berry Crumble and spoonfuls were swapped across the table. The total cost, two portions of olives, two bass, two desserts and wine came to about €65.00. Service was efficient and friendly. So we paid up with a smile and a promise to return. Market Lane is a new restaurant and bar over two floors that offers great food and amazing value. 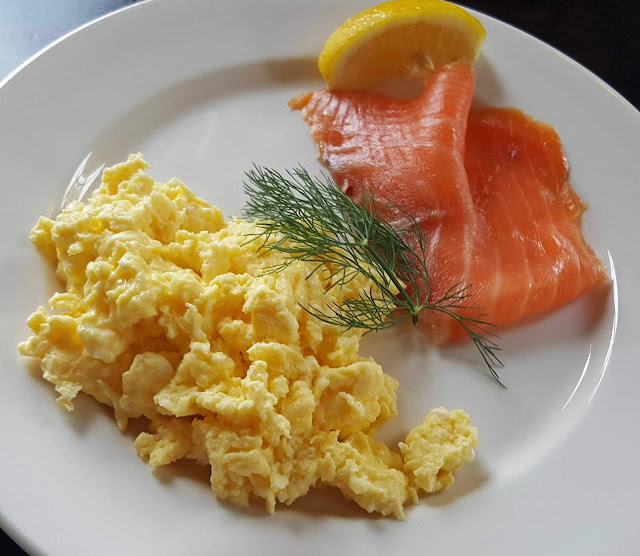 We use ingredients from The English Market and local artisan producers to make up our menu which has a wide range of fish, salads, meat, game and sandwiches, in addition to coeliac and vegetarian dishes and a healthy kids menu. Quite a while since I was last in the Vienna Woods (where I once slaved in the kitchens). Lunch was the object of the exercise today and I didn't leave disappointed. Started with a decent Chowder. For just under 6 euro, I got nothing extraordinary but plenty of fish, plenty of veg. No complaints at all. Then to the Cajun Chicken Panini with sun dried tomatoes and a nice salad. It was very tasty indeed. The Panini was done to a tee and the Cajun was reasonably spicy. Quite a substantial dish for just under a tenner. So if you find yourself on the eastern side of the city, you may safely add the Vienna Woods to your list of places for lunch. The menu is packed with choice. Nice staff there too! Early this week, at 5.00pm today to be precise, Mercier Press will launch www.ourgranniesrecipes.com , a site that aims to collect 101 of Ireland’s favourite traditional recipes. These recipes will be collected into a book for publication in October 2008 and the royalties from the book will be donated to Age Action Ireland. The book will be called Our Grannies’ Recipes, will be priced @ €14.99. It will be a hardback and will have 192 pages. Our first post goes live on Monday 4th February @ 5pm so if you do link to the site please be sure that it happens after that.